Sometimes one can make their own fortune, says Mr. Loadlink upon his return from Ireland, where LEEA staged back-to-back roadshows last month. 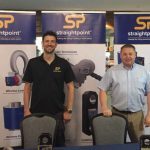 David Mullard, SP business development manager, and I spent a week in Ireland at the end of June, where LEEA staged two roadshows in three days in Belfast and Dublin. 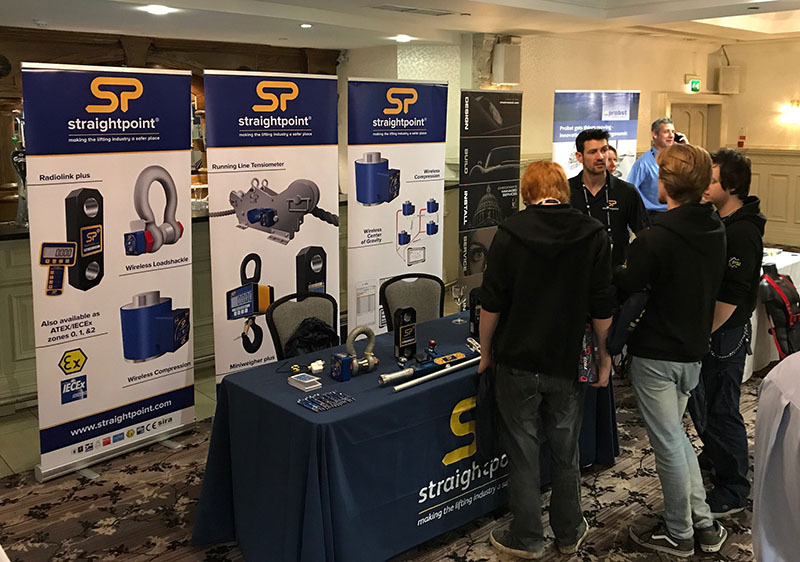 I’ve blogged before about the association’s ‘Lifting the Load—Out on the Road’ initiative that brings seminars, a small exhibition and networking to a regional audience that can attend free of charge. I like the format for a number of reasons, chiefly because it requires all participants to be dynamic and make the best of the short window of opportunity. In only a few hours—everything happens between 10am and, say, 2pm—a tabletop expo, networking and educational presentations are all staged, usually in adjacent rooms at a small hotel or similar venue. Snooze and you lose. Blink and you miss it. The concept also leaves something to chance, which only adds to the appeal for me. It’s impossible for LEEA to guarantee large crowds at a free-to-attend event and there wouldn’t be time to network with 500 people anyway. It means every roadshow varies somewhat; some attract large, engaged audiences and others less so. To some extent, Belfast and Dublin followed suit with the latter drawing a larger delegation to a venue that was probably better suited to the concept than the other. But I liked them both. 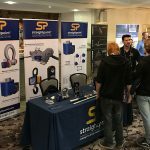 The roadshows are a microcosm of any other trade show or conference and the same rules apply; if one is prepared to engage with people and make the best of it, there are opportunities aplenty, even at the quieter events. Too many exhibitors make quick assumptions about the footfall and likely outcomes of participation. They look at the lack of a queue at the door at 9:30am and write it off. They get their smart devices out and waste the day surfing the net. David Mullard and I at the LEEA Roadshow in Belfast. David Mullard welcomes attendees at LEEA Roadshow in Belfast. 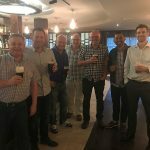 David Mullard and I with LEEA staff and friends during an after-hours networking session in Ireland. “Is that Mr. Loadllnk?” they said. Ok, they didn’t ask after me by my blogging pseudonym but the conversation was uplifting nonetheless. It was a local marina and dockside walkway specialist (there’s a market for everything! ), interested in learning more about our centre of gravity and compression load cells. As luck would have it, we were only an hour away from their facility and booked a meeting the following day. It was fascinating to see the volume of cranes required at their yard alone and hear about potential use of our product range on jobsites. We also made a point of visiting W.H. 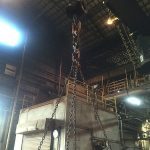 Scott & Son Engineers Ltd. (founded back in 1897), which offers a range of lifting and rigging gear, including our load cells, to clients across the UK from depots in Dublin, Belfast, Plymouth, Wexford, London and Bristol. Water utilities work continues to be a popular market for force measurement equipment, the team at W.H. Scott says. A lot has been said about the UK’s recent election results and subsequent commencement of Brexit negotiations with the EU. If you’re from far afield and have been following the news, you’ve probably gathered that the Conservative Party won, but lost, and the Labour Party lost, but won. Make sense? Probably not, but essentially it means the latter performed beyond expectations and the Tories have had to prop up a minority government via a deal with Northern Ireland’s Democratic Unionist Party (DUP). Now, we’re arguably in an even weaker position to talk ourselves into a favourable Brexit than we were before we went to the polls last month. This isn’t a political blog but I’m unashamedly a Remain voter. I didn’t see the logic in leaving the EU when the referendum was held and I still don’t. However, I’m also a practical person and understand the importance of accepting the decision and moving on. We’ve got to somehow get to a place of political and economic stability as soon as possible. On the upside, regardless of political persuasion, it should be celebrated that the election turnout was up 2.6% from 2015 to 68.7% and, moreover, half of those aged 18-24 came out to vote, up a whopping 16%. For too long the younger generation has felt detached from politics and poorly represented by politicians, but a combination of Brexit (the vote didn’t go the way most young people wanted) and the latest General Election has set a C-change into motion. Young people are talking about politics, which is great to hear; it’s their future politicians are shaping, after all. Politics even made the headlines at the recent Glastonbury Festival—a famous music event that takes place over five days in Somerset, UK—where attendees were chanting the name of the Labour Party leader, Jeremy Corbyn, when he made an appearance on the stage. It’s not about whom they were shouting, but what they were shouting about—politics—and I give that engagement a standing ovation. I’ve also been monitoring closely events across the English Channel, where French President Emmanuel Macron recently took office. I see similarities in how he’s assembling his top team to that of a successful business leader who understands that it takes people with different skill-sets and personalities to excel in the varied posts of government. Mr. Macron found room in his cabinet for a campaigning environmentalist and an Olympic fencing champion, for example. Some of the UK’s more one-dimensional political parties could take note. The oil and gas industry in Singapore, like many places around the word, isn’t out of the woods but it shares a mood of cautious optimism with other hotbeds. Growth of some description will be recorded this year over last and the longer-term signs are good, says Gaylin’s load cell guru Presley Ng Seng Tat, who I visited recently. Fellow Singaporean Intermarine Supply Co. (Pte) Ltd was equally upbeat about market conditions. Both are welcoming increased demand for our ATEX and IECEx range of products, which is consistent with a number of notable orders we’ve received here at headquarters. Our most popular product, the Radiolink plus (RLP), was our first explosion proof load cell and we recently received an order for 40 25t RLPs from a Greek shipping company, which noted the product’s Zone 0, 1 and 2 hazardous area classifications. It’s been interesting to compare the market’s consumption of our ATEX range versus, say, our Clamp On Line Tensionmeter (or COLT). There’s a lesson for all product-based businesses to learn in that the speed with which new products go out the door isn’t always the most important barometer. Much fanfare greeted the ATEX RLP—and then the expanded range some six months later—while the marketplace was equally rapturous when we unveiled the COLT. However, the latter has proved to have a much quicker ramping up period; customers started buying it straight away. That’s not to say it’s a better product than the ATEX range and herein lays the point. There are other load cells out there, thus, the ATEX range fills a smaller gap in the market. The COLT, meanwhile, is in a league of its own, offering a state-of-the-art Bluetooth load monitoring app among a myriad of standout features. It’s not more important to our growth strategy than the ATEX range, it’s just delivering at a different tempo. Finally, we conducted six-monthly planning meetings at the end of Q2, which are always beneficial and enlightening, especially when you follow a record Q1 with another record second quarter! I fly to the states this week to complete a similar exercise with the North American operation (we have a 30-strong global team in place). Punctuating our year with these plans keeps us on track. Imagine implementing a strategy in January and leaving it 11 months before working out where something went wrong only a few weeks into the session. Here’s to a great H2 2017 for everyone! 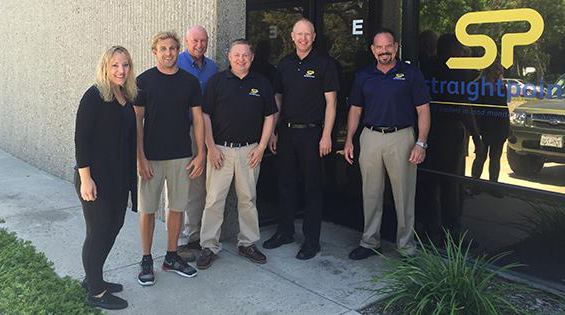 Thank you for reading and use the hashtag #loadcell on social media. Amid the most turbulent chapter of modern history in the UK, somehow it’s got to be business as usual, says Mr Loadlink. I’m not the only blogger to have sat down of late and wondered where to start. Europe… no, the world, is in a spin after the staggering Brexit vote last month (June), which means the UK will leave the European Union. In the wake of the referendum result, our Prime Minister resigned, having led the flawed Remain campaign, while many of the protagonists from team Leave disappeared into the night, shunning political opportunities that the circumstances presented. Now, we have a new Prime Minister and the opposition party is in turmoil of its own as another leadership race looks certain to reinstate the leader whose unpopularity (among parliamentary members, that is) caused the re-election in the first place. The UK economy is reeling. We don’t even know when we’re actually coming out of the EU. Throughout it all, terrorism, gun crime, Oscar Pistorius, military coups, and more have been ever-present in the headlines. Oh, and the English football team has found itself at an all time low ebb. The manager was sacked and we’ve just named a new one, but that’s so far down the list of talking points nobody even cares. 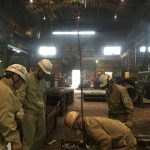 This isn’t a political blog, but it is an honest one. I’m quite open about that fact that I voted to Remain in the EU. I didn’t hear robust reasons for leaving. For me, there were good reasons to stay. Yes, I understand Europe’s top table wasn’t as efficient as it could have been but my attitude has always been, if you’re not happy with the rules of a club, get on the committee and change it—don’t give up and walk away. I’m also a believer of making the best of a hand of cards, however, so we must look forward, which is really the crux of this blog. In the short term we do so as an exporter with slightly more favourably exchange rates, and while I think the longer term impact will be much harder felt, Leave and Remain campers have got to share the same fire to keep warm. The referendum result was still sinking in when, just four days later, England were knocked out of the European Championships in France by Iceland. Yes, ICELAND. Withered, droopy-eyed manager Roy Hodgson understandably took a lot of the blame. It’s destroyed his career and he’s barely been seen or heard from since. Albeit a millionaire as a result of having the job, he’ll probably never be the same again. But I wonder if too much of the responsibility was placed upon his increasing sunken shoulders. Ok, he didn’t know what his best team was (inexplicable), but that was partly down to injuries and the terrible form of some of the players he put his faith in. And therein lies my point. I back myself as a reasonable business leader, or at least a student of business, but I’m only as good as my staff and their willingness to give 100% in quest of the goals they are set. Think how helpless a manager is on the sidelines of a football pitch. They shout and point but other than giving an inspiring half-time team-talk, if players are disinterested and already on their summer holidays mentally, as England’s ‘stars’ clearly were, what can a manager do? Practice, plan, train, prepare and then practice again, I hear you say. Well, it should have helped and it’s something we believe in at Straightpoint (the plan and train parts anyway). 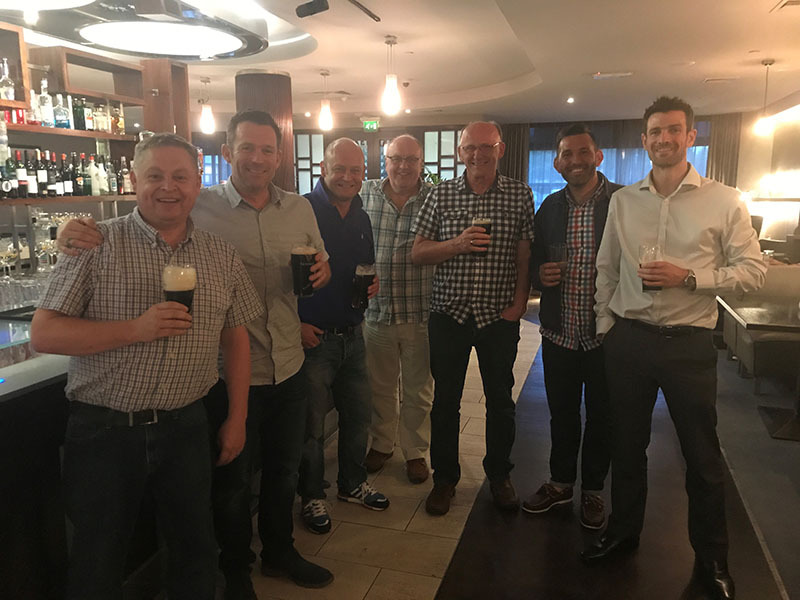 As much of the carnage outlined in my opening paragraph was exploding around us, Wayne Wille, our new North American technical sales manager, was here in the UK to meet the team, learn about our products and participate in planning meetings. 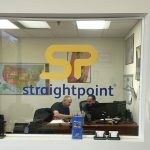 Recent history tells us that Straightpoint is more effective at executing plans and has a stronger team ethic than the England football squad. Wayne contributed to our latest 90-day plans and will hopefully prove that our team selection is pretty good too. As Wayne himself told trade media in our press release announcing the recruitment, what separates our range is the breadth and diversity of product. It was important for him to meet our engineers and start to understand the intricacies of that force measurement innovation. Wayne’s visit provided a great sense of perspective. The world was changing around us, tilting even further maybe, but it wasn’t ending. With only a week or so at our disposal before he returned back to the states, we had no choice but to focus on the job in hand. Businesses need to be careful to stay focussed when getting distracted has become so easy. Bemoaning Brexit and the ensuing chaos will only steer a ship towards even choppier waters. It could even run it aground. It’s now more important than ever to balance the stresses of the workplace and heated debates of the boardroom with leisure and downtime. I particularly enjoyed a George Benson concert right in the midst of the turmoil. I went with Bridger Howes director Mark Bridger who has a relationship with the great man having spent time in his hometown of Scottsdale, Arizona, so we got to meet the musician, guitarist and singer-songwriter backstage! Take Five, as he sang in 1974. 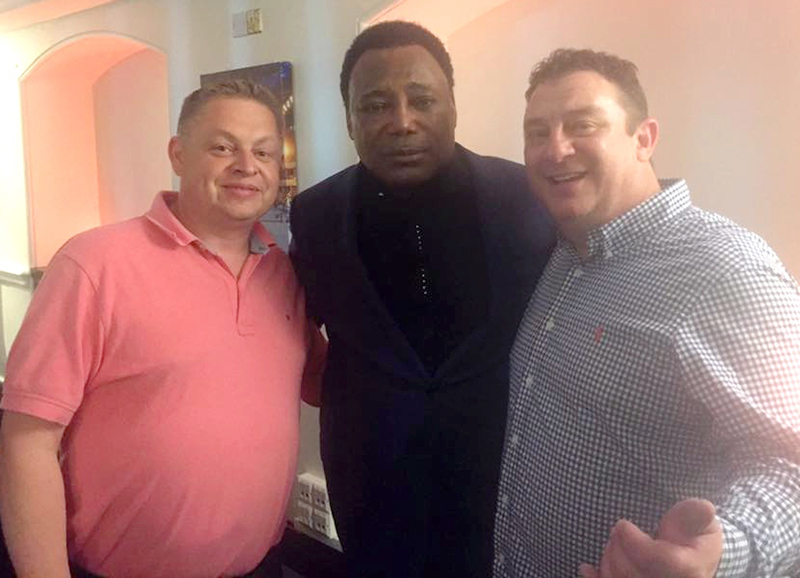 Mark Bridger, of Bridger Howes, and I with the great George Benson backstage at a recent gig at the O2 in London. I hope to always retain my ability to laugh at my own downfall, which was key to getting through the early stages of the South Korea leg of my latest business trip. I had an appointment with Gaylin in Busan, but I booked a flight to Incheon, which is about four hours northeast on a train. I know I strive to strike an advisory tone in these blogs but I’m not sure I dare be patronising enough to suggest readers double check their travel itineraries before booking flights! After experiencing the (very efficient) Korea Train eXpress (KTX), I eventually arrived in the southern port for productive meetings. 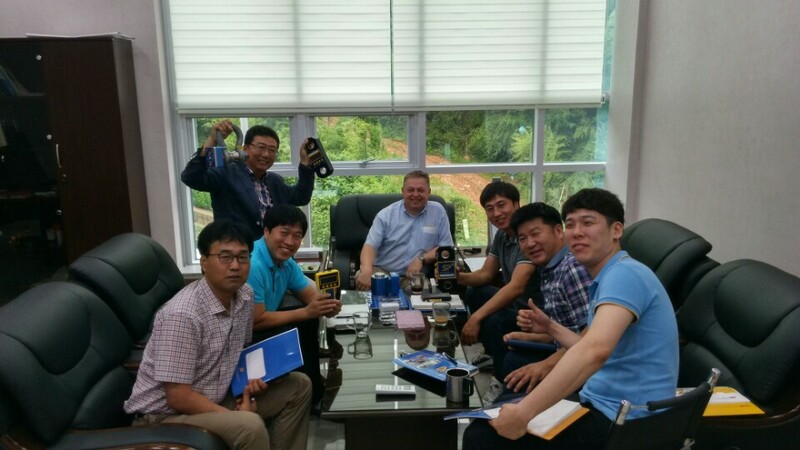 The local Gaylin team was in good form in Busan, South Korea. 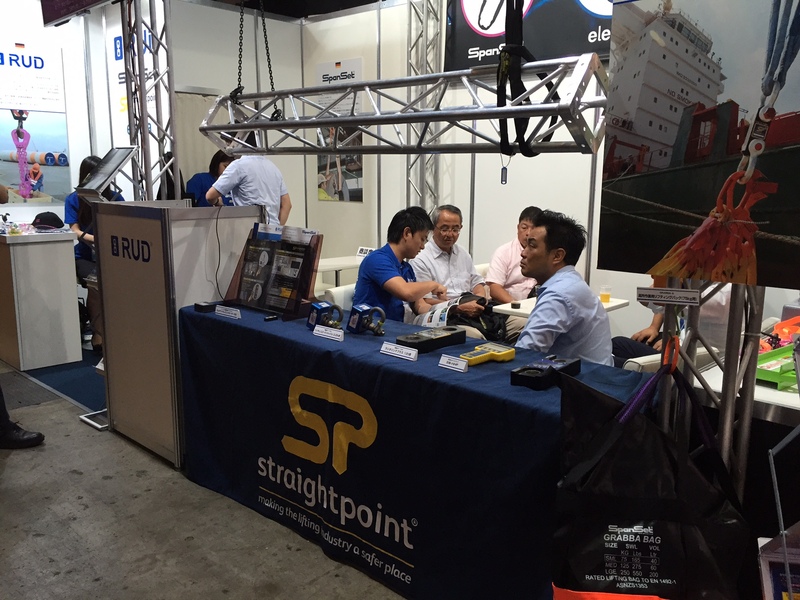 Having got the KTX back to Incheon, it was onto Narita on the eastern outskirts of Tokyo, Japan to catch up with RUD Lifting Japan Co. Ltd., who were exhibiting at the Live Entertainment & Event Expo, where we’d staged the launch of our new wireless load shackle at the same trade show last year. 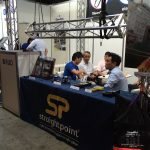 The Japanese subsidiary of the chain and lifting component specialist had arranged a fantastic stand position and the quality of visitors was once again high. 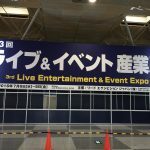 I joined distributor RUD Lifting Japan Co. Ltd. on their stand at Live Entertainment & Event Expo. 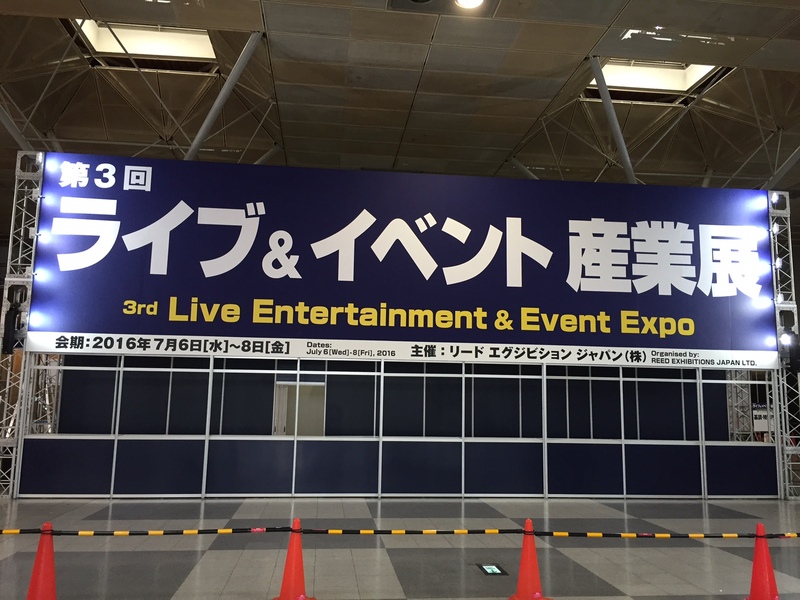 The RUD Lifting Japan Co. Ltd. team enjoys a rare quiet period at Live Entertainment & Event Expo. 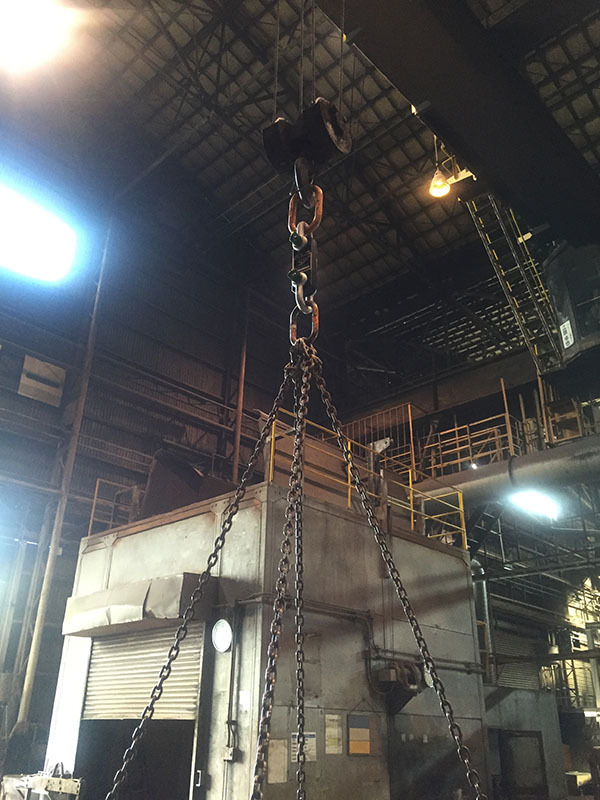 A load shackle in use in a factory in Japan. We’re following up the details even as I write this with a view to publishing a press release about the applications. 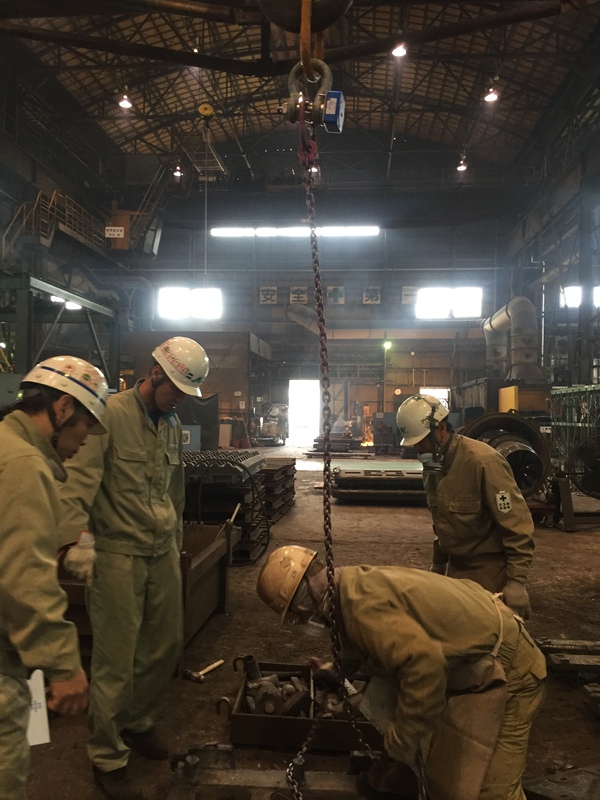 A Radiolink plus in use in a factory in Japan. We’re following up the details even as I write this with a view to publishing a press release about the applications. It’s always fascinating to see how different regions and cultures market their products. There, a lot of emphasis is placed on impact and colour. One can imagine the extent to which this ethos was taken at a trade fair that catered for the stage and live events sector! It served as a timely reminder of the importance of always considering an audience when planning a marketing or any other campaign. In Europe (pre or post Brexit), the states, Africa or elsewhere, product literature and other content must be tailored accordingly. I got to enjoy the last day of the working week twice after the trade show. Having boarded a flight to California mid-afternoon, I crossed the International Date Line—the wiggly line in the time zone map that marks the divide where the date changes by one day—and had to do Friday again on American soil. If keeping perspective despite upheaval is to be a theme of this blog, I suppose time, time zones and the monotony of travel serves to emphasise the point. Brexit won’t make jet lag disappear, that’s for sure. 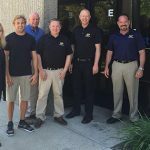 My business partner, Peter McGreal, joined me for the final leg of the trip, participating in meetings at American headquarters in Camarillo. Regular readers of this blog already know what goes into these periodic top-level sessions, but it was the first time we brainstormed with Wayne on board and his ideas on pricing strategy, among other things, added much value. It was also opportune to break the news to general manager John Molidor that he will be guest blogging as Mr Loadlink next month! 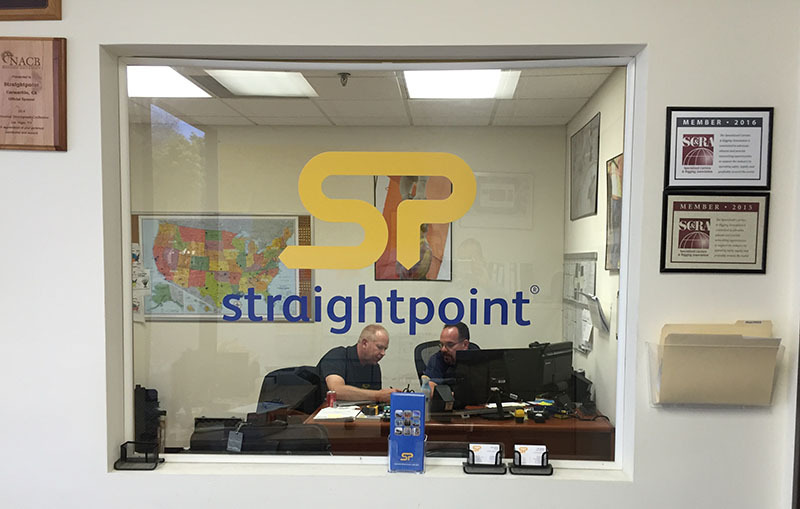 Wayne Wille, our new North American technical sales manager, and John Molidor, general manager, strategise in Camarillo. It is a fabulous part of the world and, during the downtime, we enjoyed the Camarillo annual town fare, where beer, burritos, hotdogs and culture were abundant; a trip up the California State Route 1; and devoured some seafood at Monteray Bay. We also wanted to take a trip to Alcatraz Island but such is the popularity of The Rock that all excursions were fully booked. I’d urge anyone with his or her heart set on a trip to the famous prison to book prior to arrival in San Francisco. That slight disappointment aside, it was another successful, enjoyable trip and I appreciated the opportunity to travel out of Europe to get a global perspective. 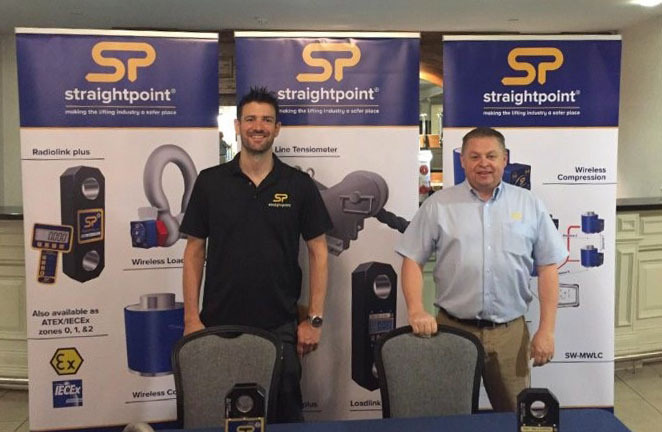 Look out for John’s debut blog next month and follow us on Twitter at @loadcell, where a 2,000-strong load cell legion forms our growing community.